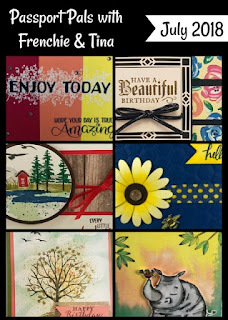 The tricky stamp set Ready to Layer and I did over 30 of these cards so I have tips for you. I did a live video on You Tube that if you miss it scroll below to view or CLICK HERE. First I pull my hair to try to stamp this and then BOOM I find the trick to it and you bet I share it in the video. After you know where to line it up you will find it easy and plus with the stamparatus you set it once and then you can make LOTS in little time. 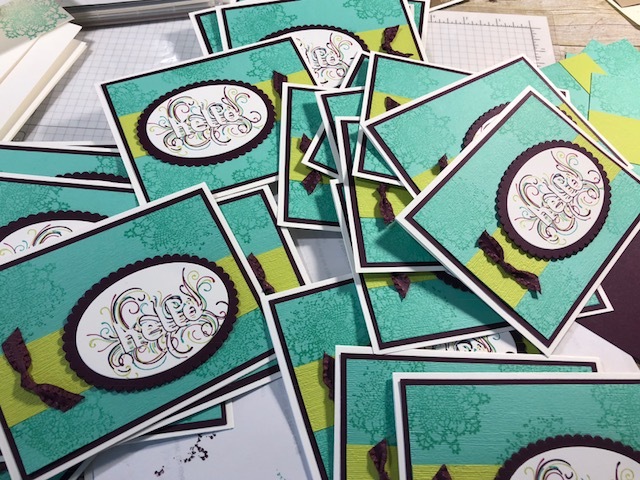 I did this for the swap for the Alaskan cruise with Stampin’Up! 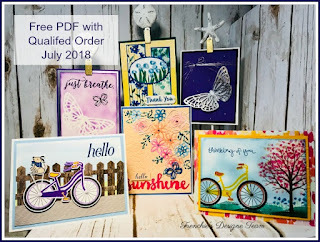 that I am at while you are reading this (will post about it beginning of August) and also when the ladies came stamping last month we did this card also. I was so excited how it turn out that after I got it all set up I couldn’t stop. Did you see my post about DOUBLE POINT while I am cruising? If not don’t miss out double points. CLICK HERE for all the info on rewards with Frenchie and this week it is double points. When you watch the video at the beginning it is all set up but don’t worry I took it all apart and show you all how I set it all up on the stamparatus. 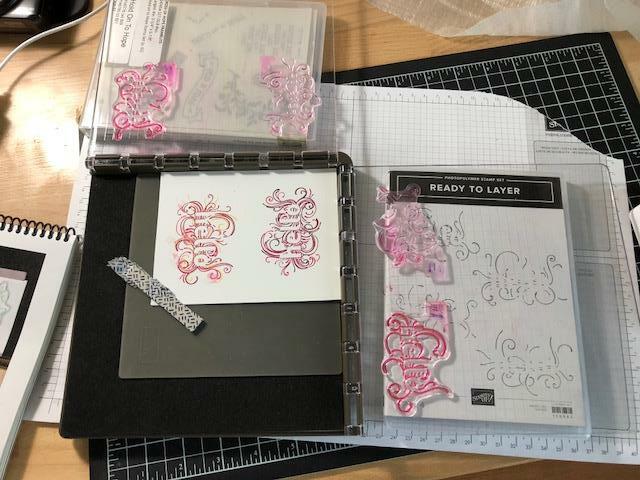 *the whisper white 5½ x 4¼ I stamp 2 of the Hello then die cut the 3″ oval I found it easier to use this side card stock then a small piece then die cut. All shown in the video. All supplies are listed at the bottom for easy shopping. Here the set up on the stamparatus with the 2 plate and 2 side it is sweet all stamp have a side just keep flipping it is quick after it is all set up again all shown in the video. Thank you for the video and how to tips. Looking forward to using this stamp. Hope you are enjoying the Alaskan cruise.